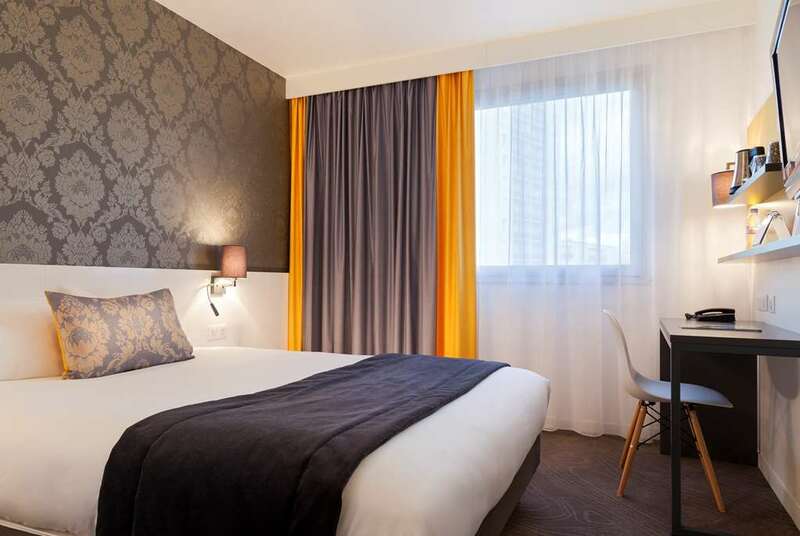 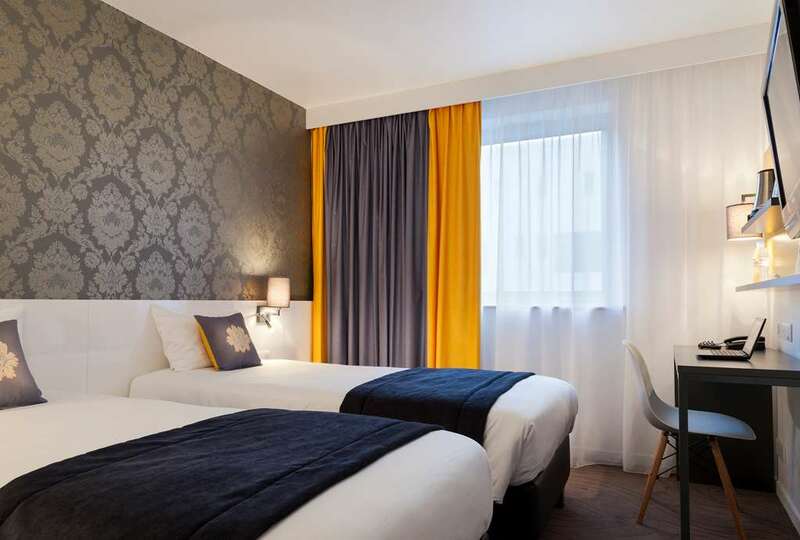 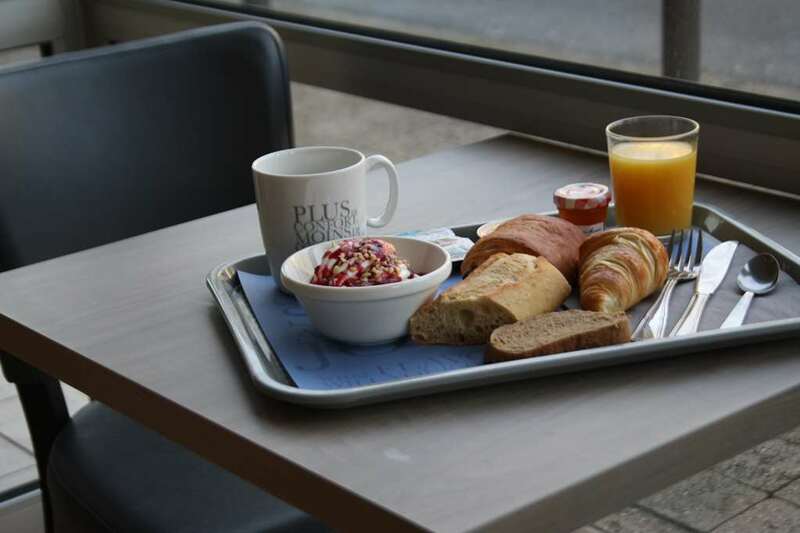 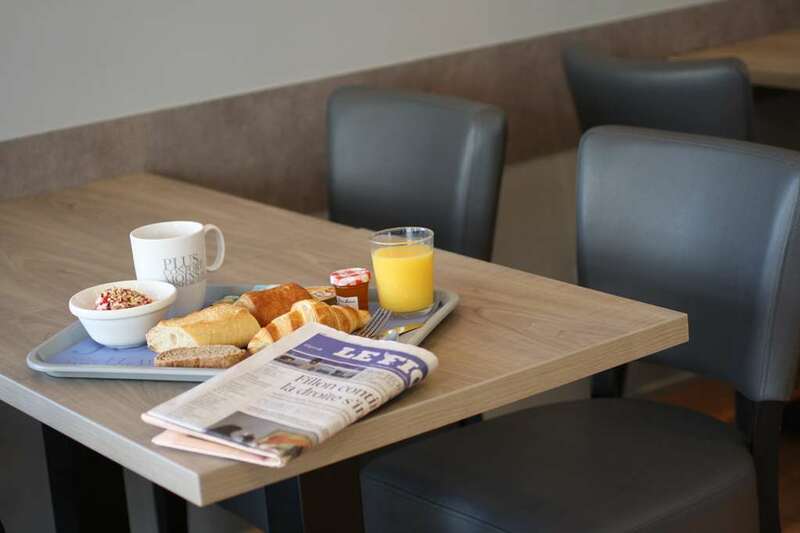 Your KYRIAD 3 hotel * TOURS-SAINT PIERRE DES CORPS and the Brasserie “Le Parvis”, is ideally located in the feet of the TGV train station of TOURS-SAINT PIERRE DES CORPS . 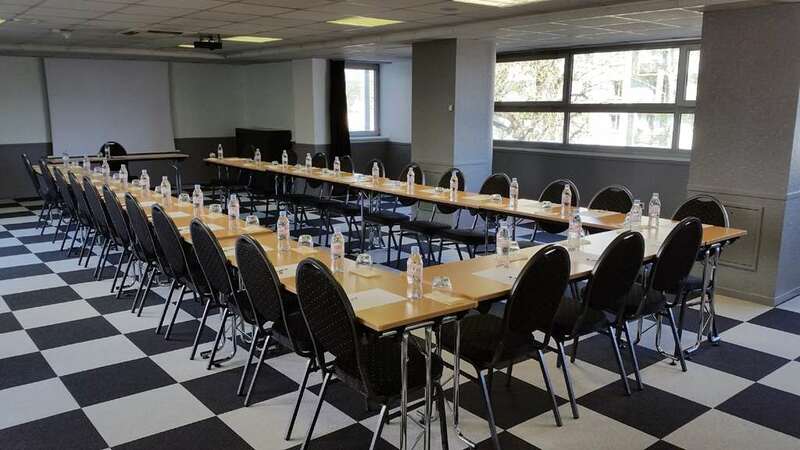 The hotel is in the heart of the Castles of the Loire, and 5 min by car or the city center of TOURS, the International Center of Congress "VINCI", the exhibition center “le Grand Hall ". 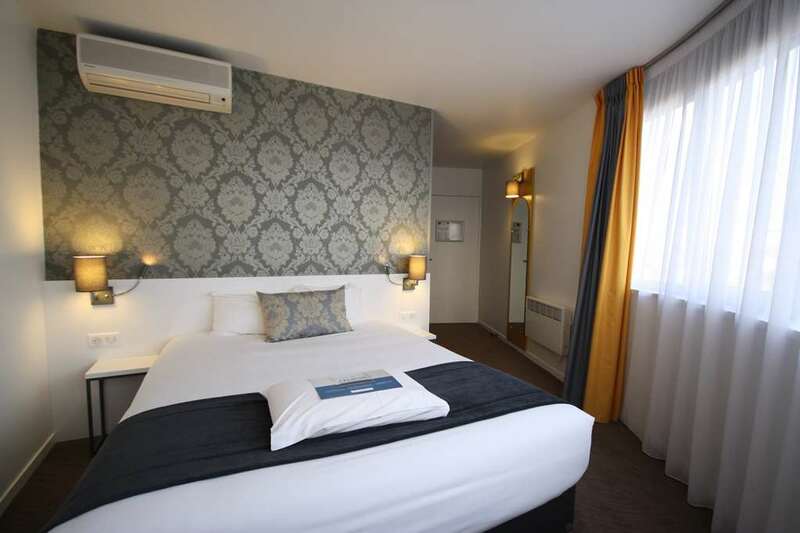 Discover and visit the vineyards of Vouvray and Montlouis-sur-Loire, close to the hotel, on the edges of the Loire. 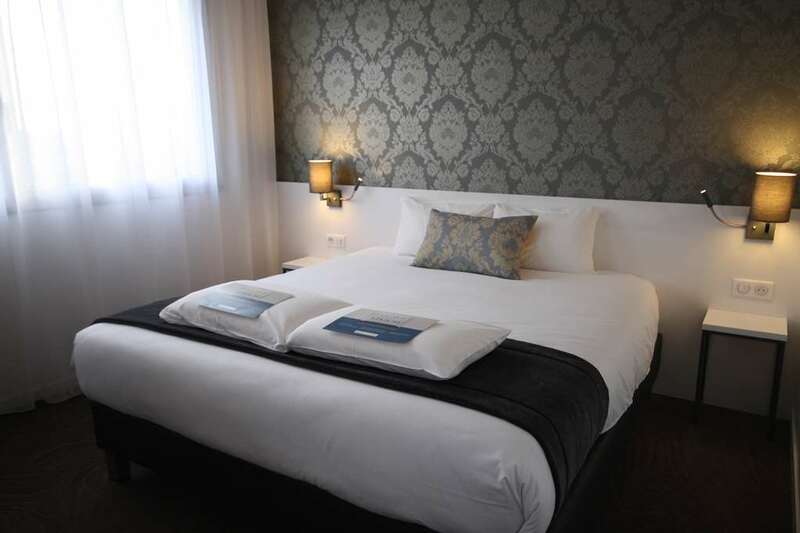 Take advantage of historic wealth and of Castles from the Loire to Touraine! 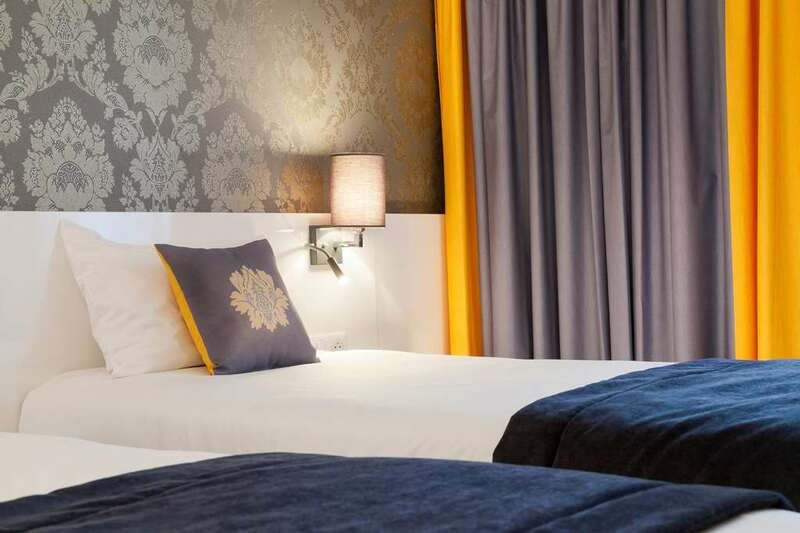 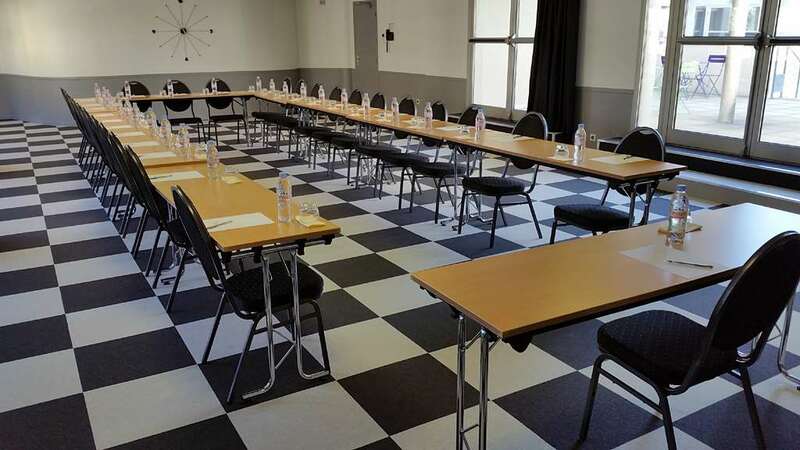 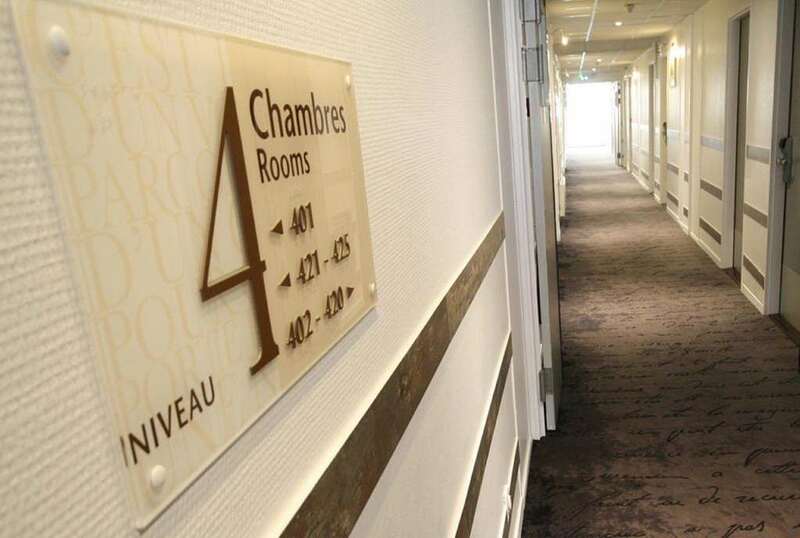 Your KYRIAD 3 hotel * TOURS-SAINT PIERRE DES CORPS offers you 98 rooms with air-conditioning, with baths or showers, 4 are accessible to the handicapped persons, 2 "business" suites (from 1 to 5 people). 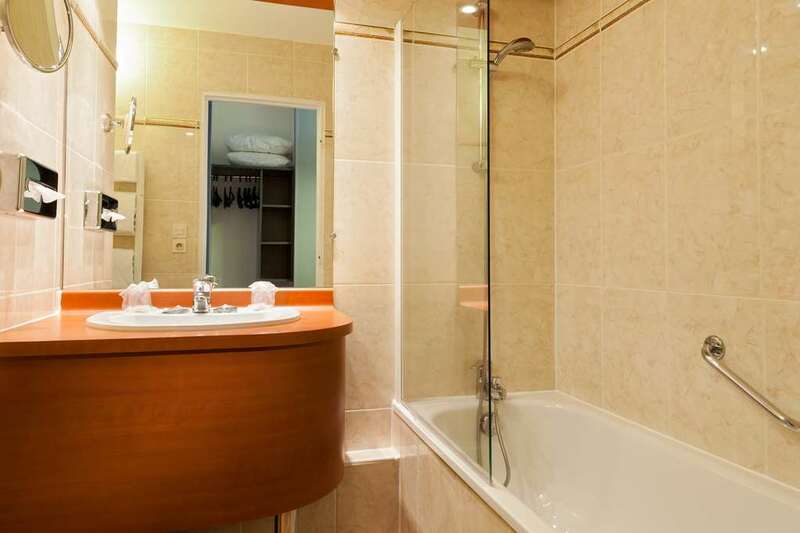 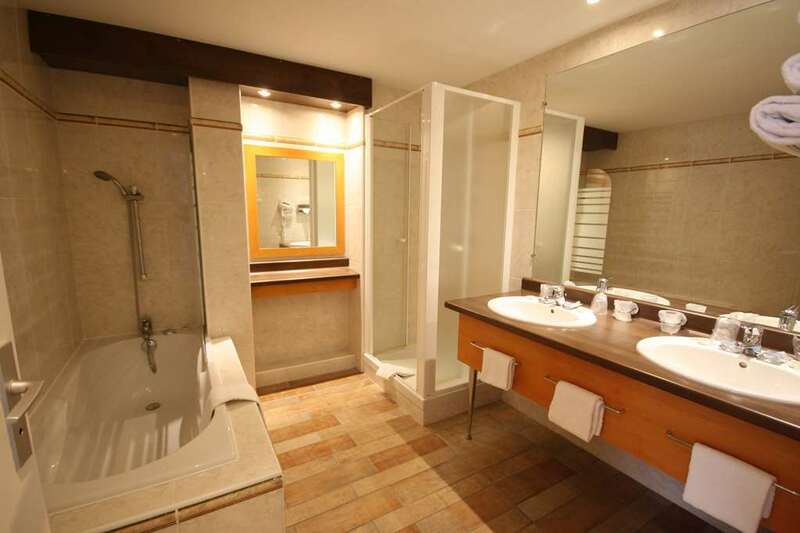 All the rooms are equipped with a hairdryer and with a Courtesy tray. 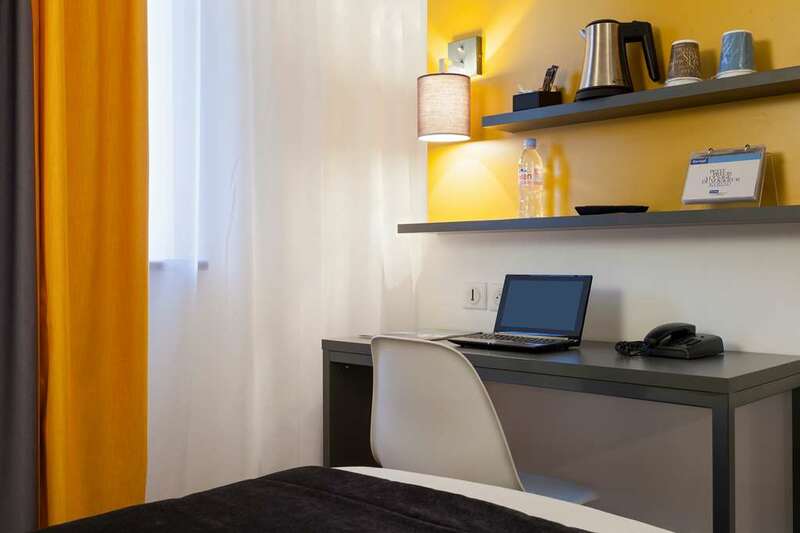 You will relax by looking at your flat screen television or work thanks to your direct line telephone and your free Wi-Fi access. 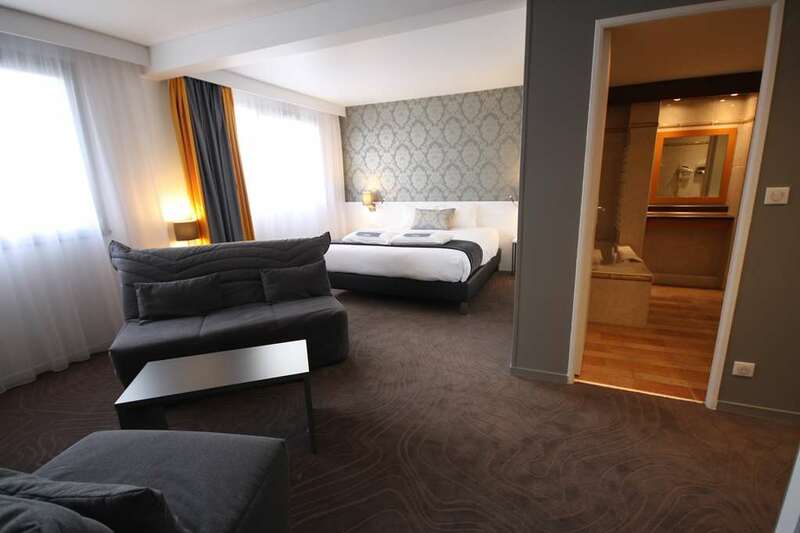 The hotel is fitted with 2 elevators, a lounge, a bar, a terrace and a paying private parking lot (10.00€ a night). 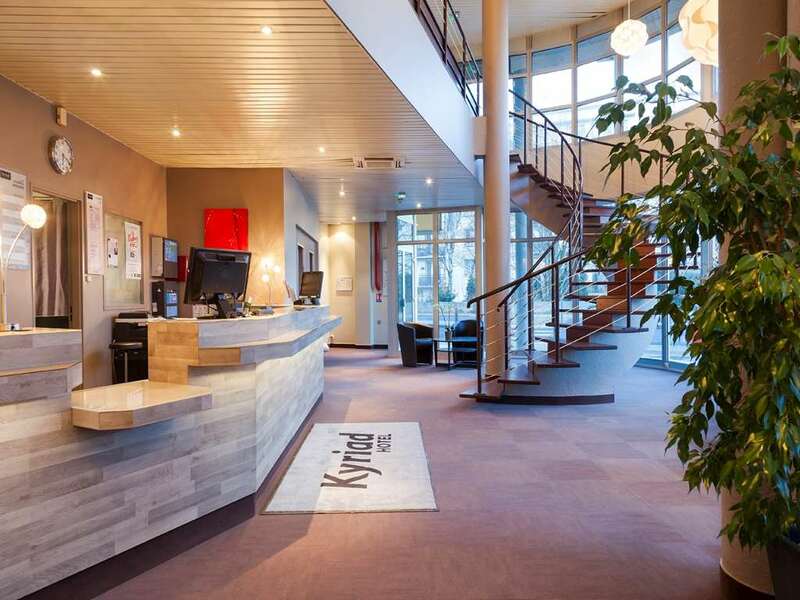 Our reception is opened 24 hours a day. 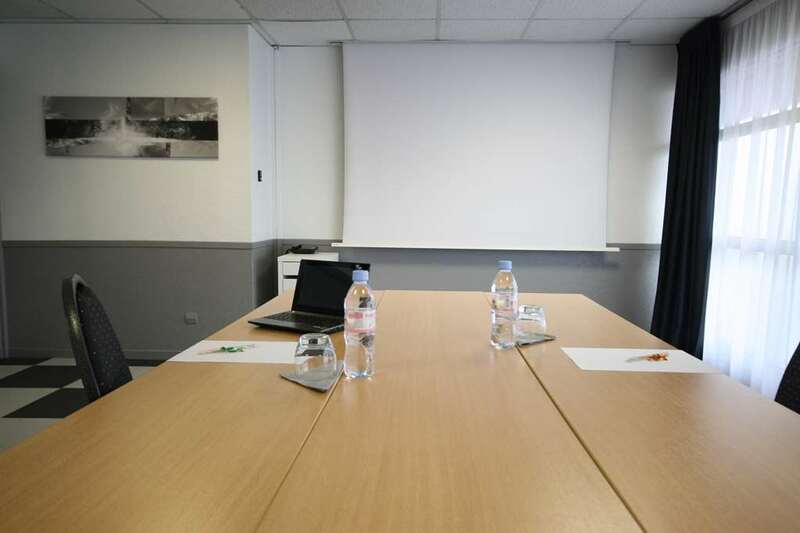 The hotel also has 5 meeting rooms with free and unlimited WiFi, video-projector, large screen, paperboard. 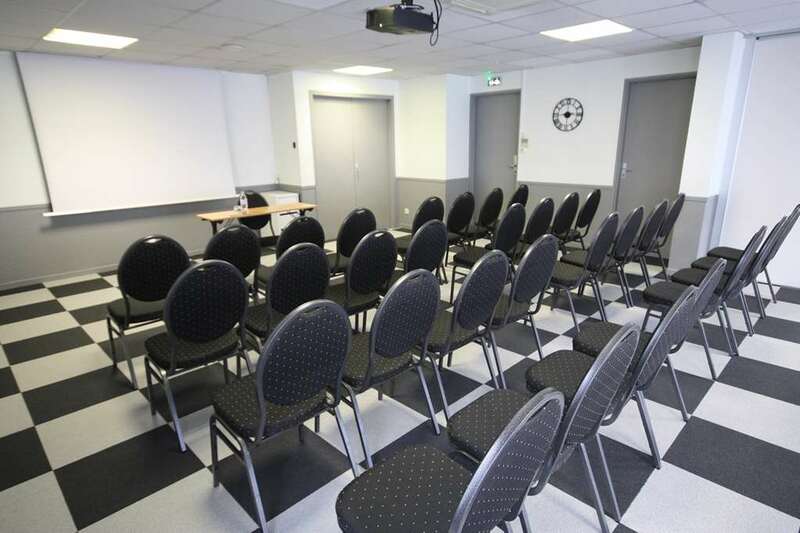 We can welcome up to 130 people in theater mode. 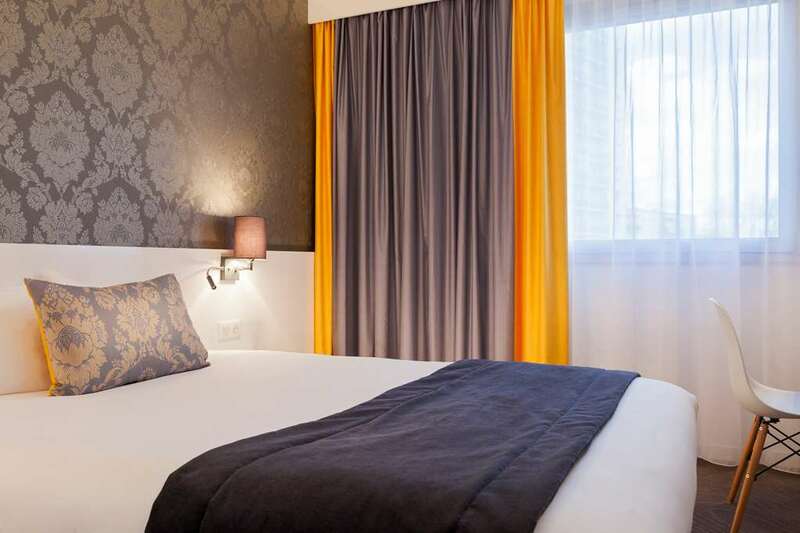 In order to ensure you the best of comfort, this Kyriad Hotel has been fully refurbished in 2016.